On September 21, 1986, the Roman Catholic Diocese of Charlotte announced a new parish to serve the fast growing area south of NC 51 and west of Monroe, NC. The 10th Catholic parish to be named in Mecklenburg County was dedicated to the intercession of St. Matthew. The church property was built on an 18-acre parcel on the corner of Elm Lane and the future Ballantyne Commons Parkway. Our first pastor, Reverend Monsignor Joseph Kerin, left his post as Diocesan Chancellor to lead the new Catholic community. The new parish had a rather inauspicious beginning in a dimly-lit theater with a broken PA system. 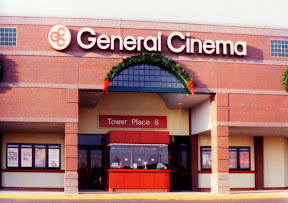 Nevertheless, 600 enthusiastic Catholics from various area churches gathered Sunday, Nov. 2, that first year at Tower Place Cinema on NC 51 for two Masses celebrated by Monsignor Kerin. Daily Masses were said in the rectory on Providence Road West for the next two-and-a-half years. Resourcefulness and ingenuity enabled St. Matthew parishioners to joyfully make due with spartan accommodations, creating a family spirit that exists to this day. The parish grew to 620 households, beginning a trend of rapid and constant growth. A Parish Council was elected and planning for the church property began in earnest. Demand for classroom space with Faith Formation, and meetings space for fellowship led to a decision to build an 18,000-square-foot Family Center. Our present Parish Center was dedicated on Saturday, July 22, 1989, with Bishop John Donoghue in attendance. Over the next seven years, the gymnasium area of the new center doubled as a sanctuary. Masses were crowded, but the “can-do” spirit of our parish family persisted. After the last Mass each Sunday, parishioners would stack and store 750 steel chairs that served as pews to convert the gym back to a gym. A year-and-a-half of planning and fundraising, a year of design work and another year-and-a-half of construction resulted in a balanced mix of striking beauty and graceful functionality that is our present church. It hosts a large assembly area, amphitheater-style seating, choir pit and the Blessed Sacrament Chapel. Dedication ceremonies were held on March 17, 1996, with Bishop William Curlin attending. Approximately 2,000 people were in attendance that day. From July 1996 through June 1999, the Capuchin Franciscan Friars staffed the parish. Father Edmund Walker served as pastor. On July 7, 1999, Bishop Curlin appointed Reverend Monsignor John J. McSweeney as the third pastor of St. Matthew Catholic Church. Under Monsignor’s guidance, plans were made to accommodate the expected growth of the parish. In 2003 the parish completed a new Daily Mass Chapel, Ministry Building (the New Life Center), Education Building (used by St. Matthew Catholic School), a columbarium and expanded parking. Monsignor McSweeney retired in July of 2017, after serving as pastor of St. Matthew for 18 years. In July of 2017, Bishop Peter Jugis appointed Father Patrick T. Hoare as the fourth pastor of St. Matthew Catholic Church. Father Pat celebrated his first Mass as pastor of St. Matthew on July 23, 2017. Today, St. Matthew has over 10,500 registered families.